Two afternoons of Urban Agriculture workshops for Sukkot, in the garden and library planted in the 7th floor of the Central Bus Station in Tel-Aviv. 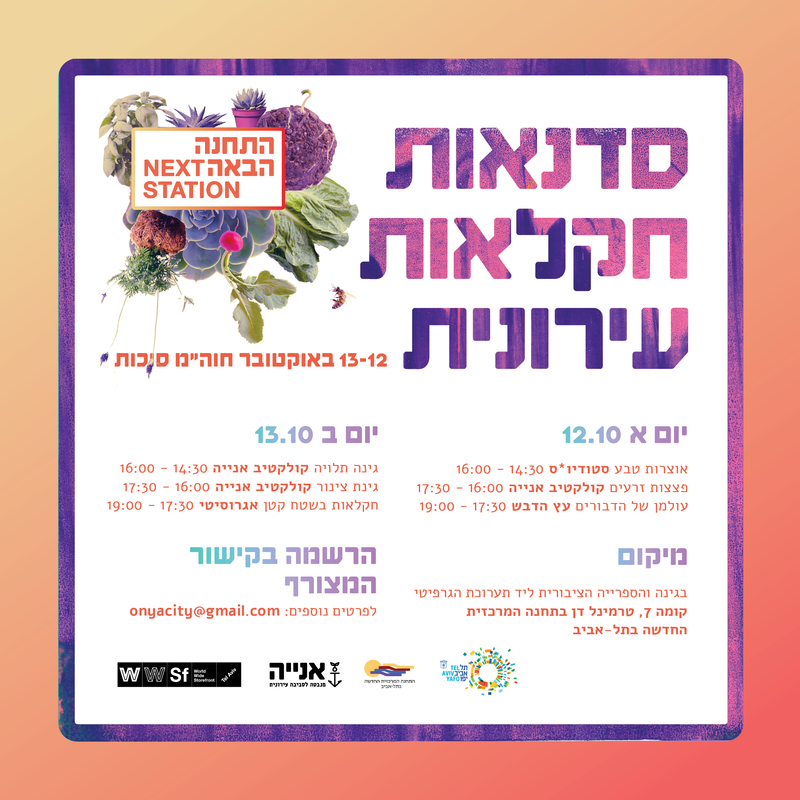 The events are organized by Onya Collective in collaboration with South District, Municipality of Tel-Aviv – Jaffa, Tel Aviv Central Bus Station and The Society for Protection of Nature in Israel. Making a name for Toronto’s ravines	Getting ready for our Champ des Possibles event !